The day finally came in March that we were ready and raring to re-open. The whole team pulled together with just a couple days to go and a lot left to do, proving what a can be achieved with passionate people surrounding you. The local support for our re-opening was humbling, and made all the effort worthwhile. 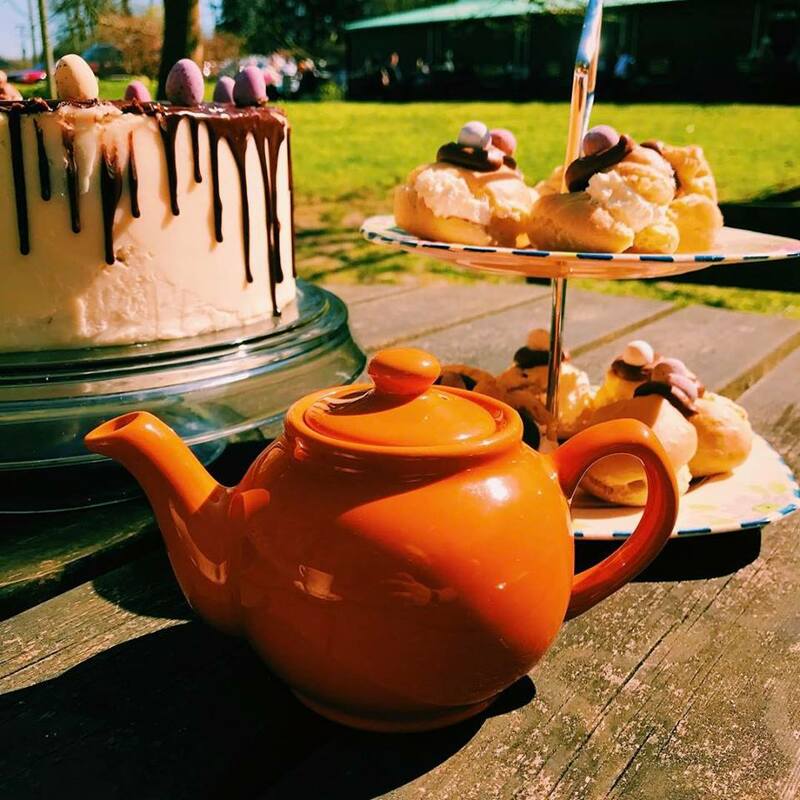 Roll on Easter, with our Llanerchaeron café serving the crowds of egg hunters and families attending the beautiful national trust estate. Our fantastic team with a few new fabulous faces breezed through the rest of the holidays, while a new site of ours got going: North Beach Kiosk, Aberaeron. The North Beach kiosk was a brand-new adventure for us this year. Opening late April, serving our multi award winning ice cream, coffees made by the wonderful David & team, and a selection of cakes & treats. The season passed with great reviews for the kiosk, David (an artist by trade) even created a piece inspired by the seagulls he would spot from the windows that look across the stunning Cardigan Bay. In May we were delighted to hear we had been shortlisted in the Delicious Magazine’s Produce Awards for 2017, having won the category ‘From the Dairy – Artisan’ in their 2016 Awards to be shortlisted again was a lovely surprise. Congratulations to Ampersand Cultured Butter who went on to win the category this year. And so the year moved along to our favourite (and busiest) season… Summer! Starting off as we meant to go on with an appearance at Glastonbury. Thanks to the amazing Hungry Dragons who cater their delicious dishes and much needed coffee & handmade baked treats in the Kidz Field at Glasto we were invited to bring our traditional ice cream trike along, it was such a fun experience and the weather was glorious thankfully! Another personal highlight has got to be watching the unforgettable Foo Fighters set with Tom after a long day of ice cream & coffee. From there it was up and up. We released three new flavours (Elderflower, Peanut Butter, & Dairy Free Coconut), attended Lampeter Food Festival with the beautiful Esta the Estafette to assist us (see our events page for more information on hiring Esta or our traditional trike), and were featured in August’s Delicious Magazine for our 2016 Produce Award win. This was such an incredible experience; We were visited earlier in the year by writer Phoebe, who interviewed Jo, Tom & myself. We spent the day recounting our story to her and feeding her ice cream until she could manage no more (as is customary in Italian circles). We are so thankful to her & the Delicious Magazine for their beautifully written article, another thing I will forever cherish from this year. August brought another exciting announcement. Six of our ice creams had been awarded a one star Great Taste award! The recognition for Tom & his team’s passion in creating a quality ice cream makes the job all the sweeter. With September rolling around, we saw a full year pass since the fire. Our toilets and stock room were finally finished and open to use. We’d like to thank our customers and supporters for their patience and understanding while we waited but as with fire and water damage it is often unknown what extent it has fully taken until further into the rebuilding process. Also in September I attended the UWTSD Lampeter Freshers Fayre with our trike handing out free Conti’s ice cream to both the fresh new faces & the learned of Lampeter. Conti’s has a long standing supportive relationship with the students of Lampeter, being more than just a meeting spot with caffeinated goods and ice cream for the study weary for more than 60 years, it was wonderful to hear so many accounts of ‘Mr Conti’s’ days from several faculty members. As the day’s light shortened and temperatures dropped, our spirits were sustained by coffee and the knowledge that the year 2017 has been done well. So here’s to 2017, you have been a beauty. You will be missed but bring on 2018, with so much in store, I wonder what I’ll have to write about next.